Civil War | Park View, D.C. 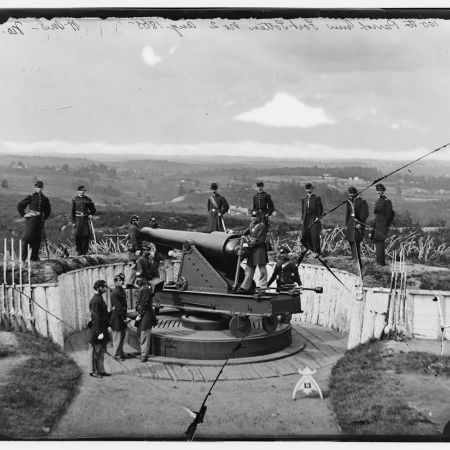 Tomorrow, February 9th, you can join join the Civil War Defenses of Washington for a tour of Fort Totten, one of 68 major forts that encircled Washington DC during the Civil War. The tour begins a 11:00 a.m. The fort saw action during the Battle of Fort Stevens in July 1864 and is one of 17 sites preserved and managed by the National Park Service. 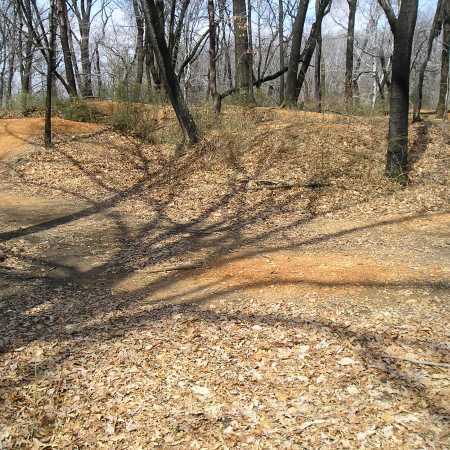 Ranger Steve T. Phan, a Civil War expert, will guide visitors in and around the historic earthen fort, including recently discovered remnants thought to be lost during the post-war era. The walk will be 1.5 miles and conducted over paved sidewalks, dirt paths, and grass. Meet Ranger Steve at the entrance to the Fort Totten Metro Station on Saturday, February 9th at 11:00 a.m. Visitors will be guided back to the metro station at the conclusion of the tour. 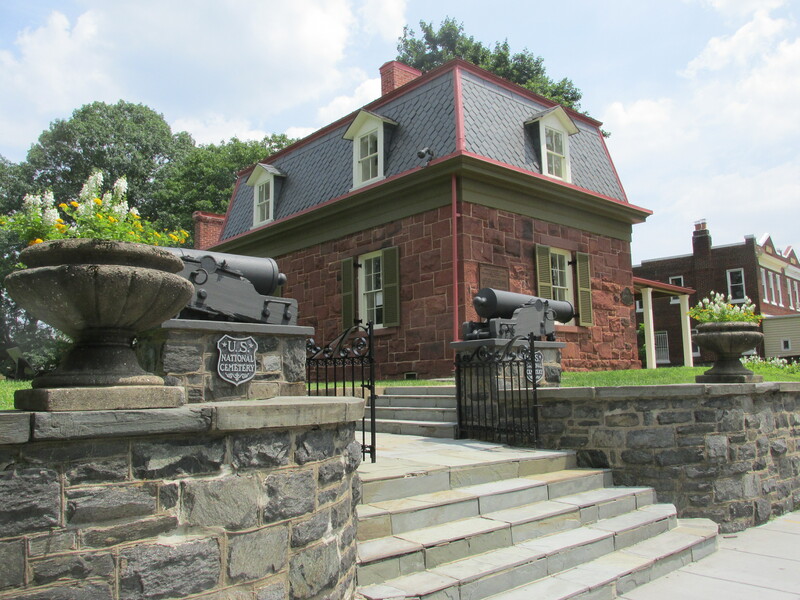 For more information on the Fort Totten tour, click here. 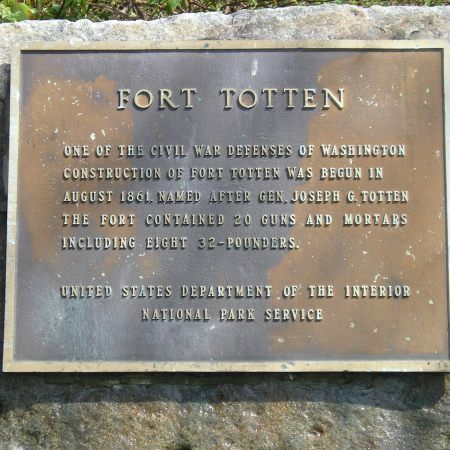 For more information on Fort Totten, please visit the CWDW Website here. 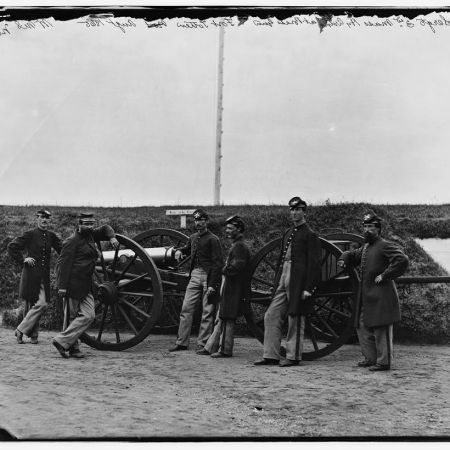 Below is a photo of Fort Totten today as well as several from the Civil War era. 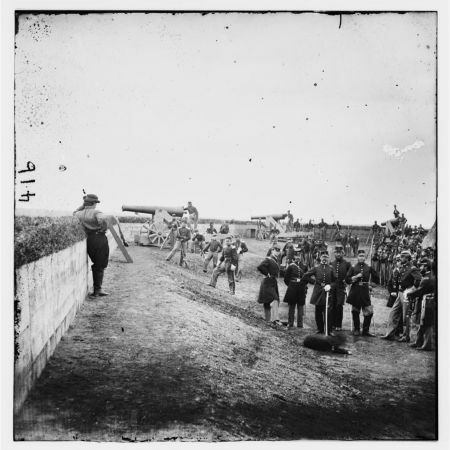 This past weekend marked the 151st anniversary of the Battle of Fort Stevens, the only Civil War Battle in Washington D.C. Fort Stevens is located in Brightwood, a short distance north on Georgia Avenue for anyone who hasn’t visited it. You can read more about it here. I’ve also found the following presentation on camp life that was part of the 149th anniversary commemoration at Fort Stevens which you can watch below. 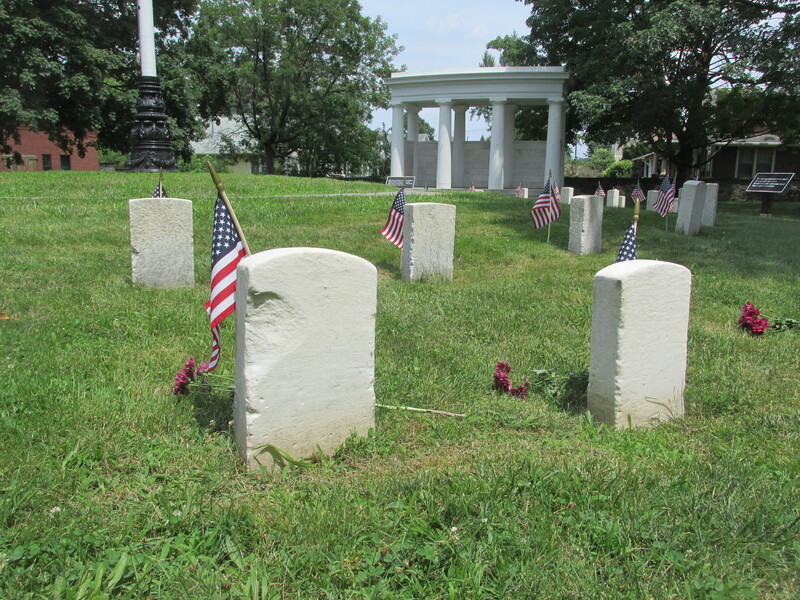 A short distance to the north of Fort Stevens is the Battleground National Cemetery, where forty soldiers who died in the Battle of Fort Stevens were buried on the evening of July 12. One additional soldier who fought in the battle was buried there in 1936. The photos below show the Battleground National Cemetery. 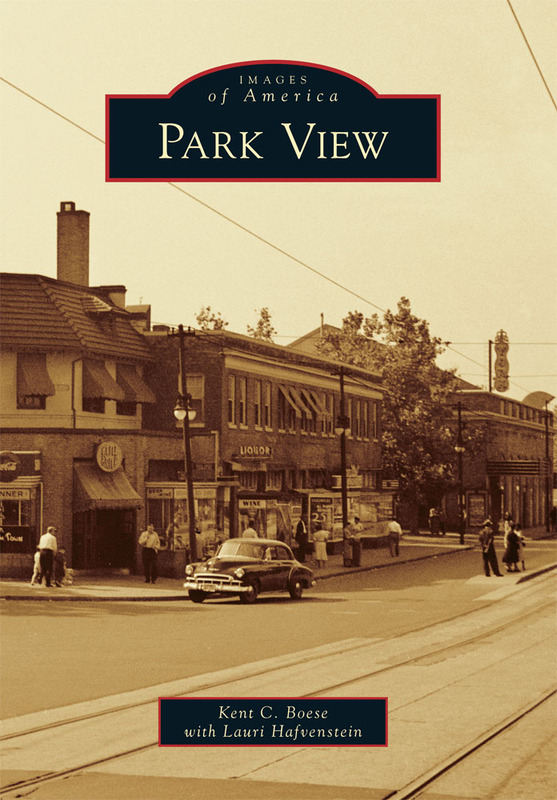 Not surprisingly with the neighborhood bordering the Soldiers’ Home, Park View has been the home of many veterans over the years. Among them was Civil War veteran Robert W. Wilson. Wilson died on February 27, 1939, just three weeks shy of his 94th birthday. For the final six years of his life Wilson lived with his son’s family at 3548 Warder Street. Though more research is needed, it appears that he lived at 635 Morton Street prior to his move to Warder. Maj. Wilson was a veteran soldier of the Confederacy. He was 16 when the war broke out but did not enlist until the tide turned against the South at Gettysburg. In the spring of 1864 he ran away from his home at Bladensburg, Md., crossed the river and made his way behind the Confederate lines. Wilson joined the First Maryland Cavalry and saw action almost daily through the year. He remained with the company and was present in 1865 during the nine-day retreat from Richmond to Appomattox. The pictures seen here are from the May 30, 1938, Memorial Day exercises. Seventy-three years ago today, Maj. Wilson and three other Civil War veterans began their morning with a flight over Arlington National Cemetery. During the flight they dropped a bouquet of rose petals and evergreen sprigs above the cemetery and were interviewed in the air for a Nation-wide radio broadcast in which the veterans spoke of their war experiences. The soldiers included Maj. Wilson and Sergt. Peter Pierre Smith, both veterans for the Confederacy, and Union soldiers Col. H. C. Rizer and William H. Jackson. 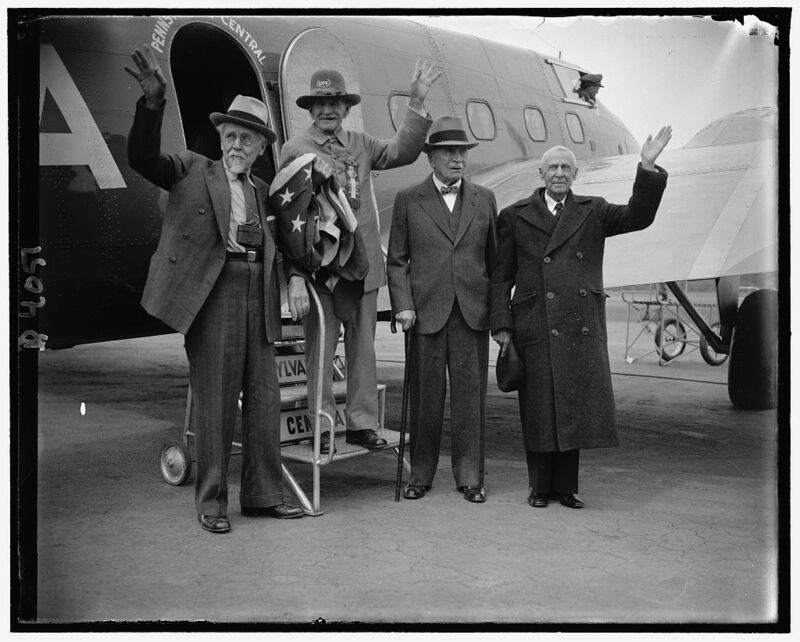 After the morning flight Smith and Rizer, both 94 years old, felt tire and were taken home. Wilson and Jackson, however, were good for another flight. 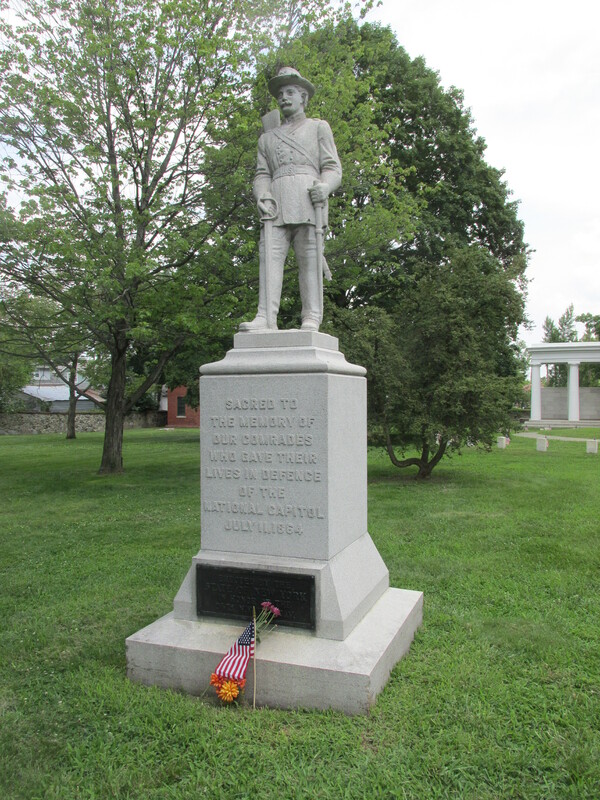 Along with a battery of cameramen, Wilson and Jackson re-boarded the plane and took off with plans to circle Gettysburg but only made it as far as Frederick, Md. During the Civil War, William W. Corcoran’s 191 acre country estate became one of many locations used as hospitals tending to the War’s wounded and was alongside President Lincoln’s commute route between the Soldiers’ Home and the city of Washington. The Harewood hospital consisted of makeshift frame wards and tents. Its period of service was from September, 1862, to May, 1866, under the successive charge of Surgeon F.E. 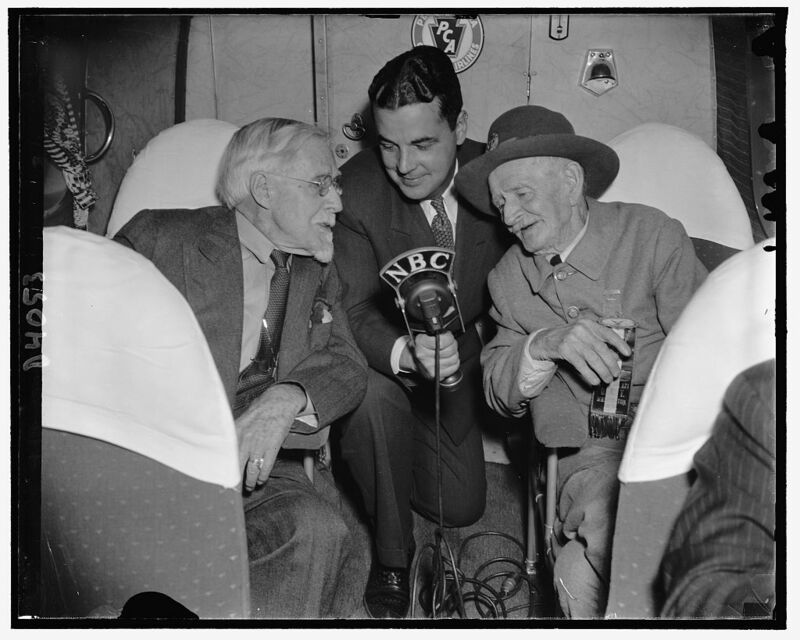 Mitchell, 1st Maryland; Dr. Thomas Antisell and Dr. Robert E. Bontecon. The image here shows Harewood from the South. 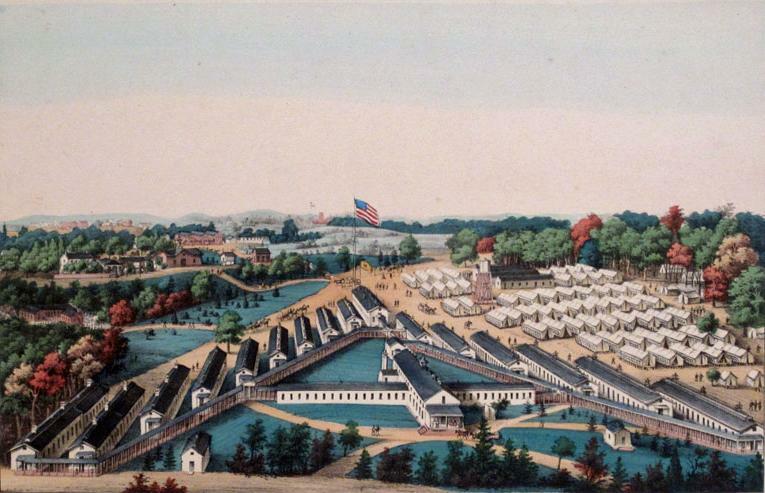 The Soldiers’ Home can be seen in the distance and Corcoran’s farm buildings to the immediate northwest of the hospital. Today’s Washington Hospital Center — which includes Children’s National Medial Center, National Rehabilitation Hospital, and the Veterans Affairs Medial Center — is located roughly in the same area. 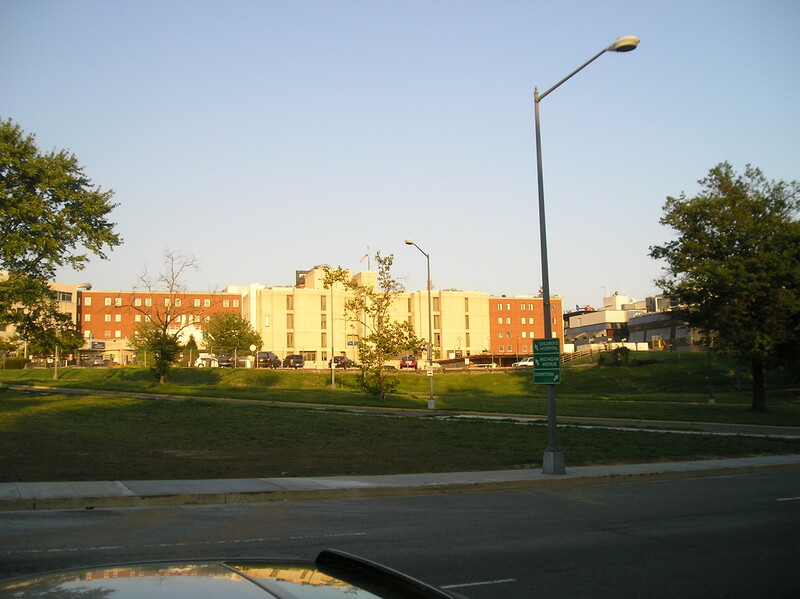 The Washington Hospital Center was begun in 1953 and triggered the eventual closing of the old Soldiers’ Home to public use. 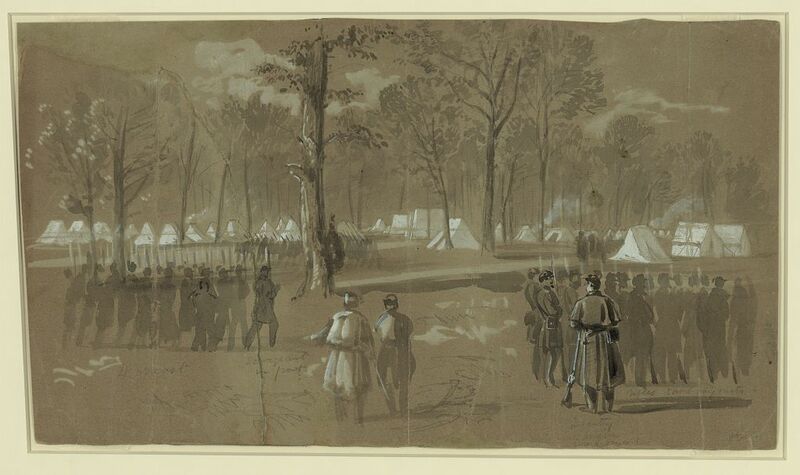 During the Civil War the second Connecticut regiment was encamped in a grove on the north side of the city. Some consider the site to be the land that soon afterward became Schuetzen Park, which would have put the camp on the east side of Georgia Avenue roughly between Harvard and Keefer. The image above was drawn between the 20th and 23rd of May, 1861. Union soldiers were also reportedly encamped on the properties of Stuart Gass and Frank May. 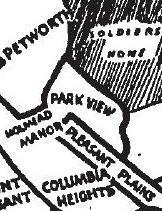 These estates were also on the east side of Georgia from just south of Morton Street to Newton Place.